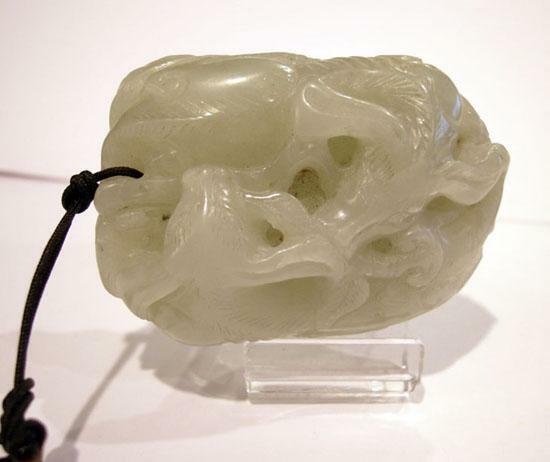 Old Celadon Jade Ram Group, finely carved depicting two intertwined Rams chewing on a piece of Lingzhi fungus, on a finely incised leaf, the stone of even color with natural inclusions. Condition: Excellent. Please note the stand is not included, it was for photographic purposes only. 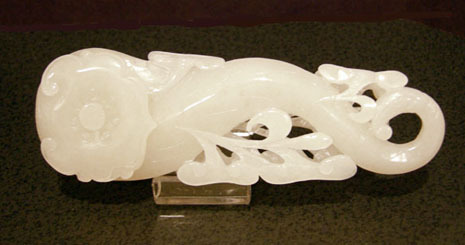 Size: 2 1/4 in. x 1 � in. 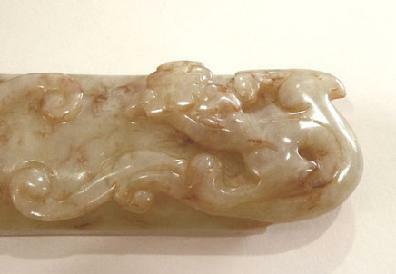 Mottled Celadon Jade Long Pendant, well-detailed and nicely carved in high relief with two qilong, the reverse with four archaistic characters; the celadon stone mottled with russet inclusions. Condition: Excellent. Size: 3 3/4 in. x 1 in. 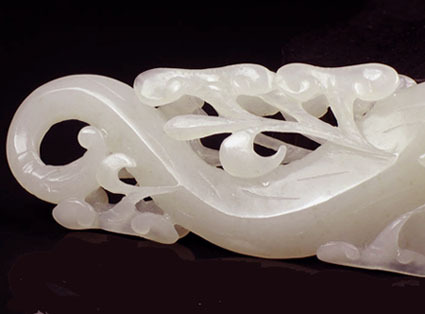 Nice White Jade Ruyi Fungus Carving - Finely carved and pierced on each side with a long leafy stalk curling around the end, with smaller ruyi carved about the stalk; the stone of even whiteish tone; the reverse with further small ruyi. Condition: Excellent. 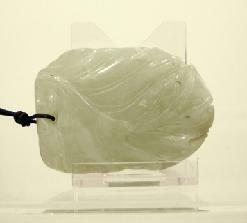 Size: 4 1/8 in. 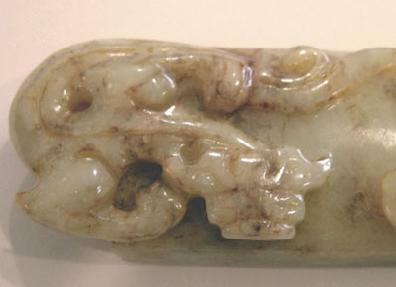 x 1 3/8 in.